Being able to virtually experience this beautiful site on the opposite coast from me through styled shoot collaborations is one of my favorite perks from my job! And not to mention, working with the talented ladies that make this shoot possibly. Photography by Jennifer Kulakowski with planning by Linda Ha Events & Designs. First of all, I think it’s important to say that I love working in my PJs, that my workplace is a few steps away from my bedroom and that I'm basically the master of my own schedule. Yes, I'm very happy with my current arrangement and would not trade this with working for someone again. Ever since I went all-in with my calligraphy business, I've been mostly surrounding myself with like-minded small business entrepreneurs. These are the people I have coffee, lunch, or dinner meetings with. I collaborate and converse with on social media. It's a lovely and extremely encouraging environment (thanks all my Insta-friends!) and I tend to forget that these relationships are the minorities. Most people don't have their own business and very little people actually understand what I do for living, or that I can actually make a living out of it. Once in a while, I have to step out of my bubble, face the "work from home wife" stereotype, and do my very best not to let it get to me (Maybe a blog post or two, because I gotta turn these lemons into lemonade somehow!). Due to my very small social circle I had prior to starting my own business, the times I had to face this stereotype was during phone conversations with my mom, family outings, or gatherings with old friends or coworkers. I noticed their questions followed a very linear pattern that goes like this: "So how's work going? When's the baby coming? Are you guys even trying to have kids?”. Followed by a slight surprise/confusion that we're not trying because of my business. Why does this bug me? Because I don't appreciate (at the very least) these three things they're implying about me and my business, the reasons why they believe I should focus my time elsewhere. 1. I sit around and do nothing all day. What people think when I say I quit my day job and now work from home, glamorously sitting by the window sill instead of packing Etsy orders at 10 p.m.! Photography by Jennifer Kulakowski with planning by Linda Ha Events & Designs. I'm WORKING from home, not “SLOUCHING” at home! There's a major emphasis on working! I'm not a “West Side” housewife who enjoys all the fine luxuries of assistants, a full schedule of spas and hair salons, or binge watching a full TV season as I please. Although, I might be guilty on the last one (I like having “John Oliver Last Week Tonight” in the background while working) but I'm still producing stuff! I'm working overtime, trying to crank out as many designs, logos, styled shoot orders, addressing, place cards, and all other custom/semi-custom orders that come my way. In all honesty, I did more of the ”sit around and do nothing" act when I was on somebodies payroll. When my husband occasionally works from home, people consider that as a "work, life balance" type of move. But when I pull that, I am following the path to becoming a house-wife trying to start a family. To be clear, I have nothing against a stay at home mom as long as it's her choice. I do, on the other hand, have a bone to pick with other people that try to decide what I should be. 2. What I do in my silly little business is no biggie. It's so simple, everybody can do it! Yup, no biggie indeed! 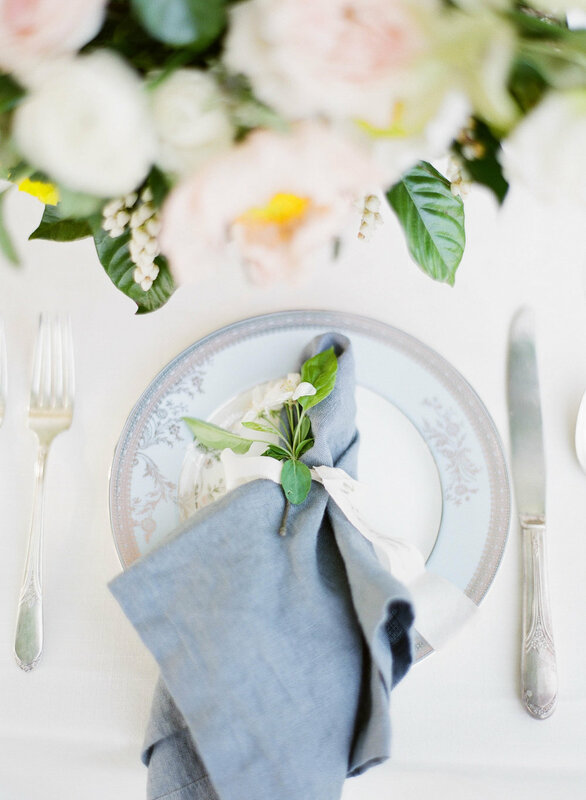 But really, check out my workshops if you think you can do this too ;) Photography by Jennifer Kulakowski with planning by Linda Ha Events & Designs. I was asked what I do for my business. One of my old coworkers couldn’t help speaking on my behalf and said, "She's doing graphic design basically”. Lovely. I just love how someone who has never spent a day in my shoes all of a sudden knows more about what I do than ME! Yes, I have to work with Photoshop, lots of bezier curves in Illustrator and not to mention dealing with printed products. But it's a very small part of what I do and it's not the reason I book jobs! To be honest, you're kinda insulting both me and the graphic design community simultaneously. Just because we're using the same programs, doesn't mean our jobs are interchangeable. So what exactly is it that I do for a living? I'm a calligrapher, illustrator and painter; this is what I'm selling and why people hire me. How I sell comes in many different forms; from invitation suites, wedding/party signage, logos and branding, workshops, greeting cards, and even wax stamps. But aside from all of the “money maker” titles, being in charge of a company of one means I have so many other roles! This means I'm also the product photographer, stationary stylist, shipping and packaging department, social media and marketing manager, the only sales/customer service available, and house keeping as well! I horribly fail at the last item in that list but I think I do pretty good on the rest. To put it simply, it's NOT "basically graphic design". 3. On how little money I currently and will ever make. No hidden golds yet, just some more pretties. Photography by Jennifer Kulakowski with planning by Linda Ha Events & Designs. Or as one of my family members elegantly put it when I was first starting out, “Does anybody buy THAT?". Let’s be honest, most people don't really attribute a calligraphy business with a pot of gold in the end of the rainbow. To be clear, I'm starting a company from scratch and I know I can't expect a six figure salary in my first year. But I'm not a free-loader either! I actually make enough to cover my share of our bills (which isn't bad considering how young the business is). This means I make more money than when I first start working fresh out of college, but not as much as what I made after working for almost five years in interior design. I understand where they come from, I'm selling something that they will not buy or even consider buying. I know that I'm in a niche, luxury market which means I am catering for a very specific clientele. Not everyone is willing to spend a huge sum of money for paper and I totally get it! This makes it even harder for them to conclude that I can get enough clients every month, or any client in that matter. They simply don’t understand how I get clients with very little marketing money spent. (Lemme help ya answer the second part, it's Instagram). With all of this said, it’s important for you, the small business owner and I, to understand that we will NOT be in the same spot one, two or fives years from now! Things change. Our brand continues to grow. We get more clients and we get more sales. Most people know the first year of any business might not provide enough stability, some understand and have faith on my choices, but there will always be those who will say or think otherwise. Unfortunately, the latest tend to be the loudest and stay in your head the longest. It’s important to structure your business and personal life so that each can have it’s own time to grow without impeding on one another. Trying to wrap this up nicely and hopefully give you a little bit more will power for your venture! Photography by Jennifer Kulakowski with planning by Linda Ha Events & Designs.